This tiny breakout board carries Microchip’s 24LC512 EEPROM and MCP9802 temperature sensor devices, both of which support I2C protocol. 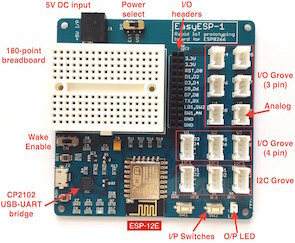 This board can be used for both sensing the ambient temperature and storing it. 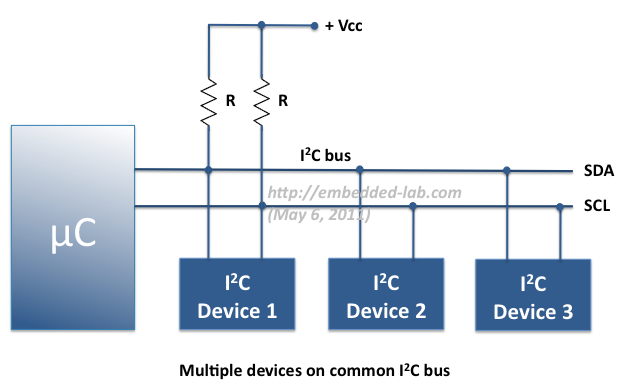 The MCP9802 is a digital temperature sensor with an user-selectable resolution from 9 to 12 bit. 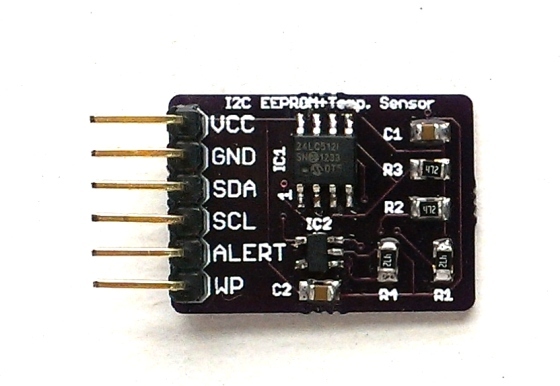 It can measure temperature ranging from -55°C to +125°C and notifies the host microcontroller when the ambient temperature exceeds a user programmed set point through its ALERT output pin. 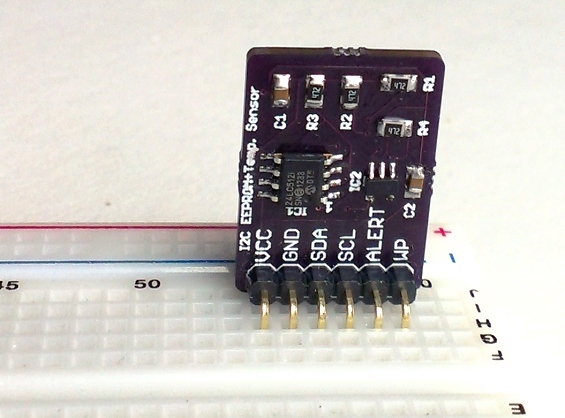 This board allows you to store up to 32000 temperature samples when you use the sensor in high resolution mode (12-bit, 0.0625°C) with each sample stored as two bytes.